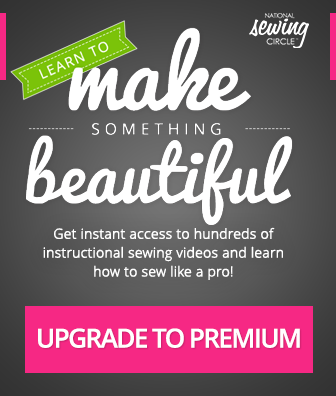 Watch even more great videos when you become a National Sewing Circle Member! Sometimes we may not realize some of the dangers that are right in our own sewing room. ZJ Humbach talks about some of the unsafe practices that we may find in our sewing area, and teaches us how to avoid unnecessary injuries. Watch and learn what we can do as sewers to make sure our sewing equipment and supplies are safe. Aurora Sisneros explains why baby bibs make great gifts for baby showers. 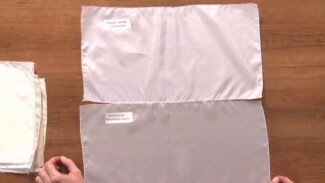 You’ll learn how to make a reversible bib with laminated fabric and bias tape to border the bib. Aurora also teaches you how to make bias tape out of any fabric and discusses why you need to use the bias (or diagonal). Nicole LaFoille shows you great techniques on keeping your tissue from tearing open. Learn how to use a tracing wheel with tracing paper to prevent your tissues from tearing! See how much easier this technique is with these tips!